12 Amazing Places to Fly in the USA. Looking to do some Historical sightseeing but struggling to find ideas? Our neighboring state of South Dakota has some beautiful scenery to fly over towards the western part of the state. 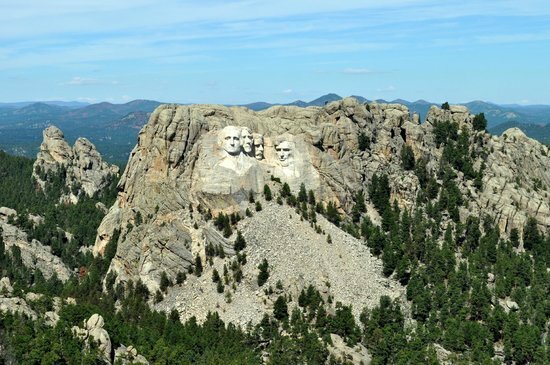 The Black Hills of South Dakota also offer one of the most prominent landmark features of U.S History, Mount Rushmore! Sculpted in 1925, this monument receives thousands of visitors throughout the year. Rapid City Regional Airport (KRAP) is less than a 20NM flight away from Mount Rushmore. To get as close as possible contact ELLSWORTH approach on 119.5 to request the “Mount Rushmore Flyby” for vectors. Just a short hop to the North West Minnesotan shores, Duluth gives its visitors spectacular views year round. Located on the western tip of Lake Superior, this majestic field is surrounded by sky, nature and water. If you’re looking to add a little color in your trip, be sure to visit between September and October to see the fall colors. The unique climatic effect of the region creates a truly beautiful landscape to view from the air. Sky harbor airport promises a truly unique and fun flying experience for all. 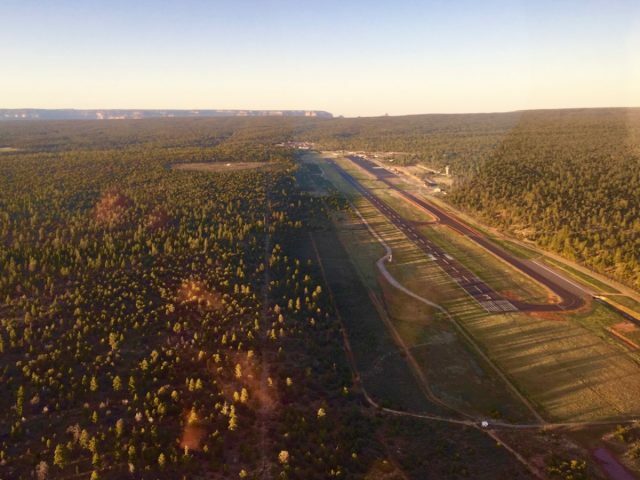 Located in Arizona, Grand Canyon National Park Airport is only 7 miles from the south Rim of the Grand Canyon. While this trip promises to provide unparalleled views for any Pilot flying in the area, make sure you review the SFRA (Special Flight Rules Area) which covers most of the region. There are various altitude and airspace restrictions that apply. Nonetheless, this still promises to be one breathtaking view from above. On December 17, 1903 the Wright brothers became the first to create successful powered, heavier than air aircraft flight. Go back in time and fly into arguably the most historic airport in terms of aviation in the World. 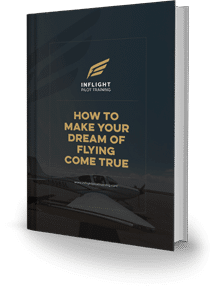 Located in Dare County, North Carolina, First Flight Airport is a must see for any pilot. 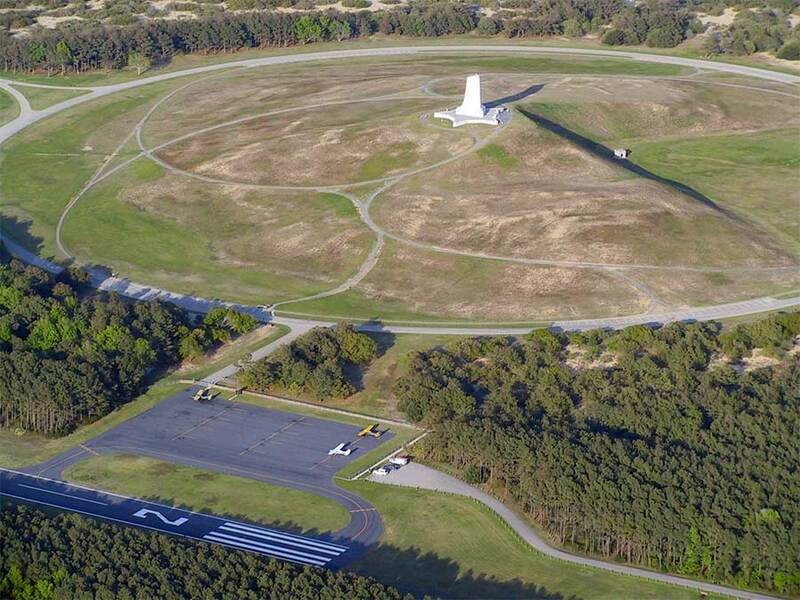 Be sure to check out the Wright Brothers National Memorial and museum when visiting! 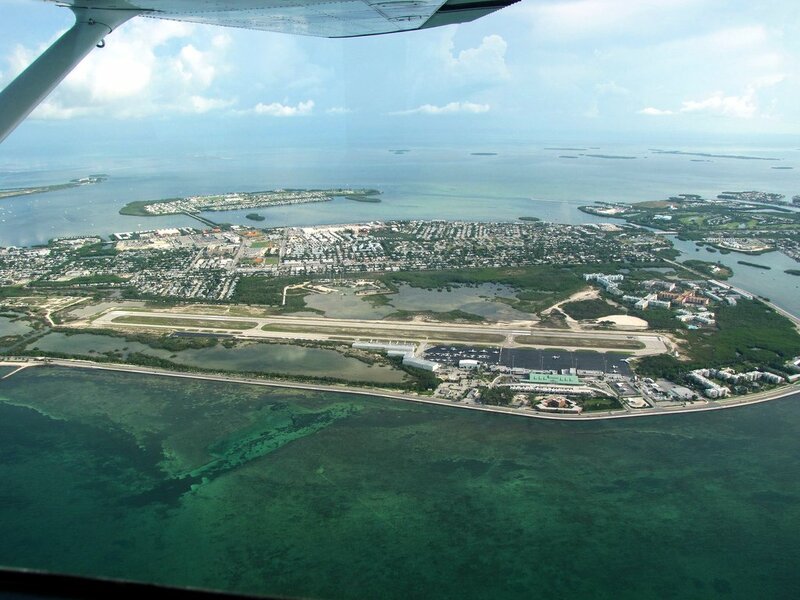 If you’re looking for a Caribbean adventure but want to stay local, be sure to check out Key West Florida! Get a taste of Jamaican culture and grab a bite at the various local grills, or relax on the pristine white sand beaches overlooking the clear Caribbean waters. No radio operator’s permit needed! Looking to head west? It may be called “Nowhere North Dakota” but the western part of the state is home to Theodore Roosevelt national park. Known as the place where the Great Plains meet the rugged badlands, these colorful painted canyons provide a great view from above. If you’re into musicals, Medora ND, home to the famous Outdoor Medora Musical, is just a short trip a ways. 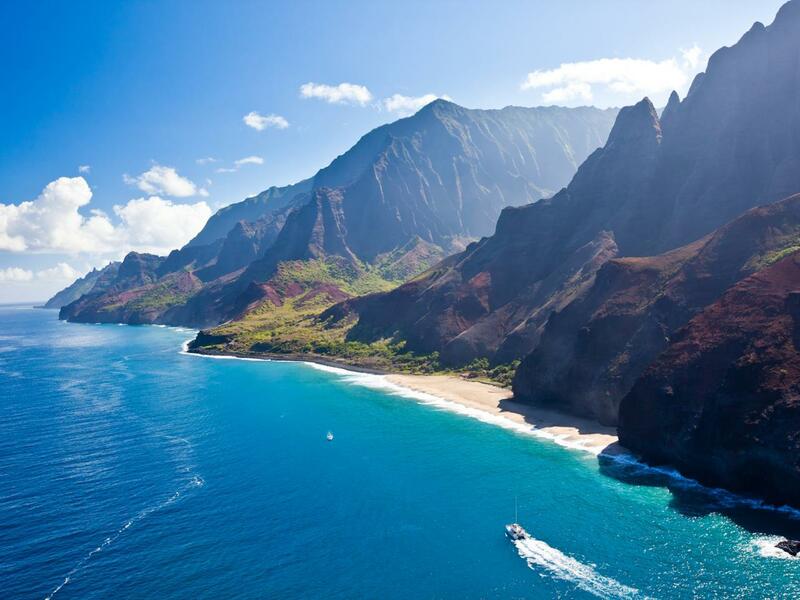 Kauai is a central pacific island part of the Hawaiian archipelago, and along with its rocky cliff side shore line, is covered in tropical rainforest. Many Hollywood films have used this island for their filming locations, Lihue airport is the gateway to this Hawaiian paradise. Many pilots “island hop” on these trips to get a greater view of this truly unique state. 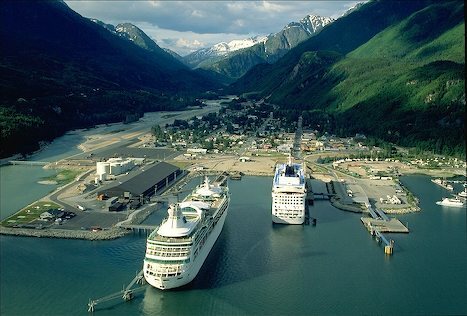 With a population of only just 1,057, don’t let that deter you from visiting Skagway in Alaska. More than 900,000 visitors dawn upon this town every year, most travel by cruise liner. Once you get a glimpse of the view you’ll have on approach, you will most certainly want to visit by air. This breathtaking view is one of a kind, and is rated in the top 10 most beautiful airports in the world to fly into. Located on the eastern bottom corner of Alaska, this airport is easily reachable from the north western parts of the United States. Alaska. Skagway. Aerial of cruise ships and town. Maine boasts some extraordinary sightseeing from above. The small town of Camden in Maine, is rich in culture and boasts spectacular seaside views. Don’t forget to stop by for some of the best seafood around! Bald Mountain Airport is the best way to get into the heart of this region. Nestled in the heart of the Rockies Mountain range, Aspen is a Skiers paradise, with endless slopes and fresh powder to explore. Aspen Pitkin airport promises to be a once in a lifetime experience for pilots flying into the region. 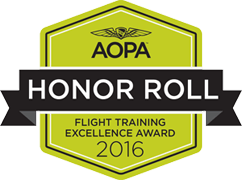 If you have not had any mountain flying experience in the past, be sure to receive the appropriate training before making the journey. If you’re looking to do some mountain flying, but are not quite ready to hit the slope of Aspen, our next contender is Jackson Hole, Wyoming. This airport promises to give you a front row view of the Rockies mountain range, and is a little les challenging to fly into due to the proximity of the mountain ranges to the airport. Again, if you have no mountain flying experience, please make sure you get some training before heading over here! We will finish off local, with none other than the beautiful Maddens resort on Gull Lake in Minnesota. This one is especially for the Seaplane pilots out there. Although the region receives most of its visitors during the summer months, Gull Lake provides a truly unique Minnesotan experience for all, making the most of the land of 10,000 lakes. The area also hosts the Minnesota Annual seaplane fly in during May each year. 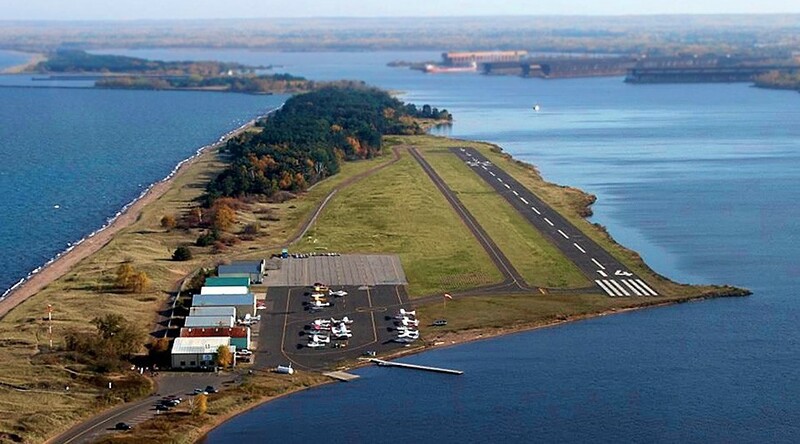 If you don’t have a seaplane rating but still want to visit Maddens, Brainerd Regional (KBRD) is just a short hop away.